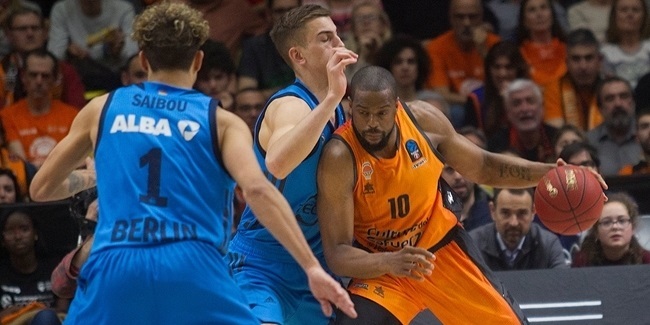 Eight rounds of the 7DAYS EuroCup have gone by and three of the four regular season groups have already allocated all tickets to the Top 16. 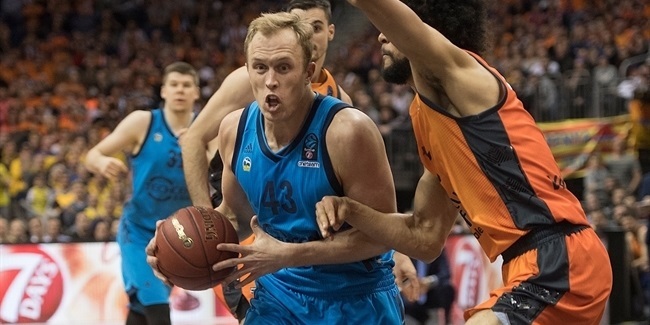 One of the teams that advanced this week was Nizhny Novgorod, whose Ivan Strebkov earned MVP of the week honors with his performance index rating of 36. Strebkov was almost flawless in leading his team against Lietkabelis Penevezys with his 31 points including 5 of 8 twos, 4 of 6 threes and 9 of 9 free throws; 2 rebounds; 4 assists and 7 drawn fouls. Strebkov had career records in both PIR and scoring from this game. Secondi n line this week was Chris Babb of ratiopharm Ulm with his PIR of 31. Babb scored 30 points, pulled 5 boards, dished 3 assists and had 1 steal against Lokomotiv Kuban Krasnodar in a game which also produced career records for him in PIR and points. Completing the list of top individual performances of the week were Simas Galdikas of Panavezys (29) and Stefan Markovic of Zenit St Petersburg (28). 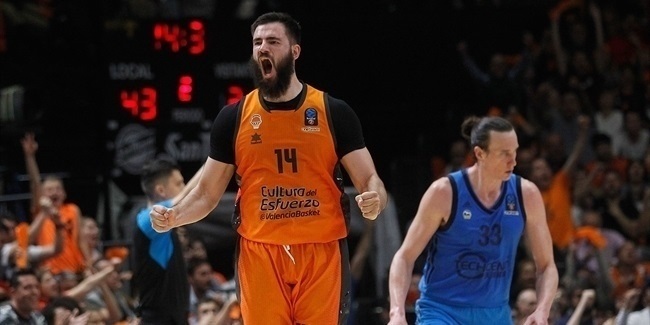 The scoring rankings this week were also topped by the players with the best individual rankings, Strebkov and Babb with 31 points and 30, respectively. After them, Mardy Collins of Lokomotiv followed with his 26 points. In the rebounds department, Arturas Gudaitis of Lietuvos Rytas shined again with his 16 boards, a career record for him, while two more players followed with 11 rebounds each: Aaron White of Zenit and Devin Oliver of Union Olimpija Ljubljana. Stefan Markovic and his 11 assists were the best mark this week, again, as he commands that ranking in the competition with authority with precisely an average of 11.0 decisive passes. In the defensive side of the numbers, Nobel Boungou-Colo of Khimki Moscow Region led the steals column with his 5, while Amare Stoudemire of Hapoel Bank Yahav Jerusalem stopped more plays than anyone this week with his 3 blocks.